If you are a healthy travel enthusiast, check out our newest addition of travel talk. This segment brings you the top travel news and travel trends from around the web. Read on for tips on protecting your identity while traveling, healthy travel sacks and more. You’ll want to pack these 7 healthy travel snacks in your carry-on bag! 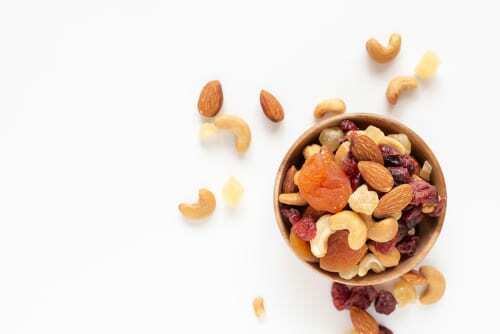 Whether on the road or in the air, this list of best healthy travel snacks from Men’s Health has you covered. From gut-filling, giber-full apples to on-the-go staples like tun or salmon packets – this list is great. They even have tips to, uh, get things going if you catch our drift! Add some tasty prunes to a reusable bag for a healthy travel snack that will aid with digestion. Click here for more healthy travel snack ideas. Getting your stuff stolen spoils a vacation like little else. A few years ago, a stolen phone or hacked social media account may have meant losing your contacts or even your photos. Nowadays, we use online services for everything from our banking to our credit cards. These make it easier than ever to deal with life admin on the road—but also mean getting your pockets picked or your password hacked can have disastrous new consequences. Fortunately, there are a few steps you can take to minimize the risk, so if the worst does happen, all that’s been stolen is a device—not your identity. A brutally cold and seemingly endless winter may be giving you cabin fever and you’re probably not alone. Many Nebraskans are looking to travel to where it’s warmer and according to local travel agents, there is a lot more people looking to get out of town right now. Some of the most popular destinations for those trying to get out of winter weather in Nebraska are Mexican beach locations and with more cold on the horizon people in Lincoln say the winter has already taken a toll and vacations are on the brain. Click here for more details! It’s well-known that Facebook and its sister brand Instagram have become hugely appealing destinations for marketers to spend money. But a global survey by travel tech firm Sojern suggests that a lot of trial-and-error is still going on. Marketers continue to research, guess and check. Facebook and Instagram are the top channels travel marketers intend to increase spending on in 2019. However, marketers may shift how they spend their money on the social network and photo-sharing app, according to a new report released Thursday. The UK Foreign & Commonwealth Office (FCO) has downgraded its travel advice to Nicaragua, no longer warning against all but essential travel to the country. Essentially off limits to tourists since April 2018, the Central American country is now open for business. And there are plenty of good reasons to go. These inclue soaring volcanoes, lush highlands and sparkling beaches are just a few of the attractions. Read on here. A Rolls Rhoyce Ghost is just one of the crazy requests that rich people rely on their travel concierges for. Thanks to their secret list of in-the-know contacts, connections and a lot of hard work, concierges are providing every little thing a mega-rich traveler would want during their trip. Read on for more outlandish requests.